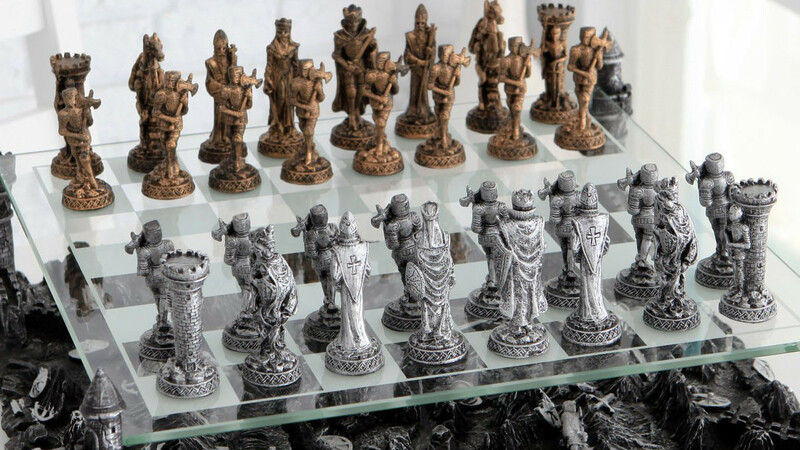 This Medieval Knights classic chess board set includes a full set of pewter chess pieces. 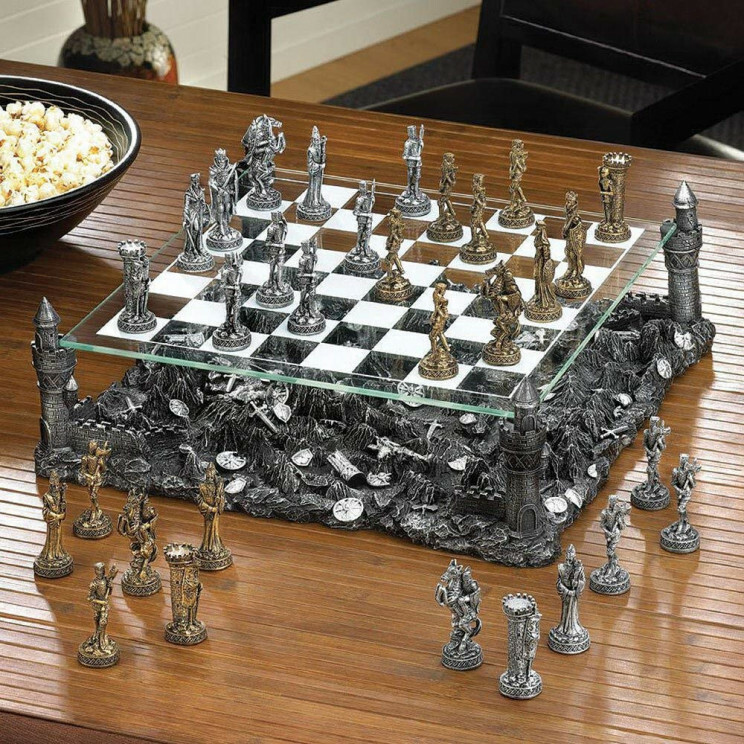 The base is made of resin and it features elements such as castles and swords. Pieces in the set vary in size. The king measures 2 inches tall and has a 1-inch base. The chess board measures 13.5 inches square. This is a great looking set that will suit a collector, a player or a fan of renaissance styled items. If you play chess often and like to leave your set on display then you will love this one. Great to play with and looks cool.